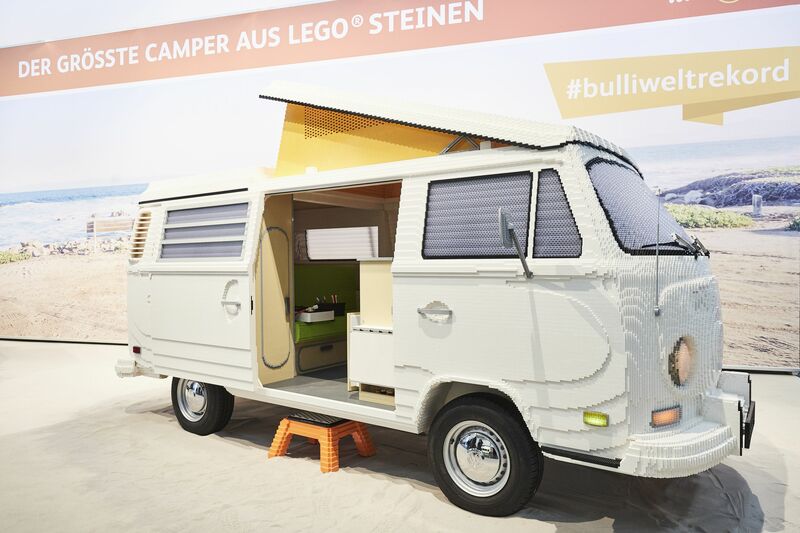 The Volkswagen Type 2a camper van, rendered entirely in Lego bricks. Photos courtesy f.r.e.e. and Messe Muenchen. 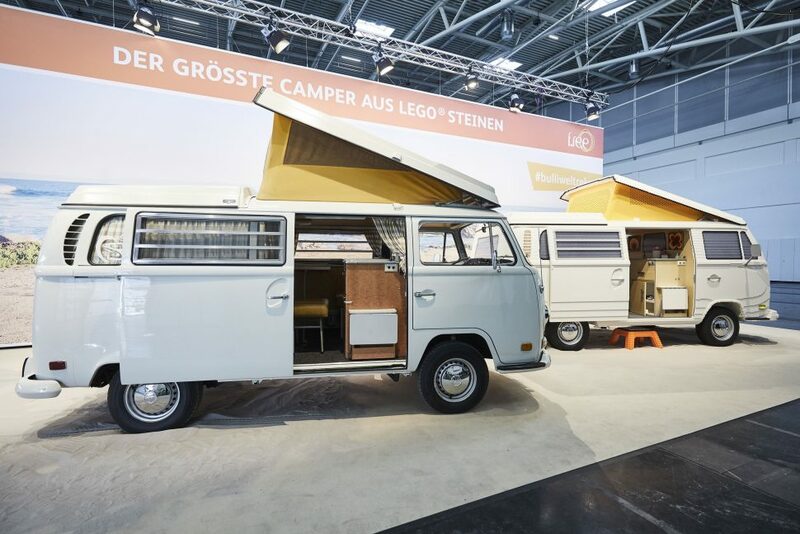 Volkswagen’s 1968-’71 Type 2a camper van — sold on these shores as the Campmobile — introduced generations of Americans to the great outdoors and retains a cult following to this day. Rust-free examples are tough to find, but at the upcoming f.r.e.e. 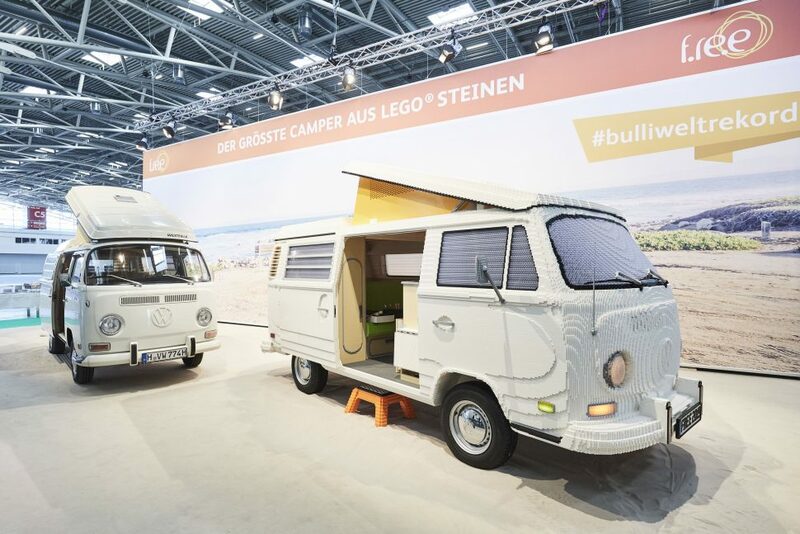 travel and leisure fair in Munich, Germany, visitors can see a Campmobile impervious to corrosion of any kind. Measuring over 16-feet long, 6-feet wide, and 10-feet high with the roof raised, the one-of-a-kind bus tips the scales at 1,540 pounds. That’s significantly less than the original’s 2,623 pounds, due partly to the fact that the bus on display lacks an engine, fuel tank, or transmission. 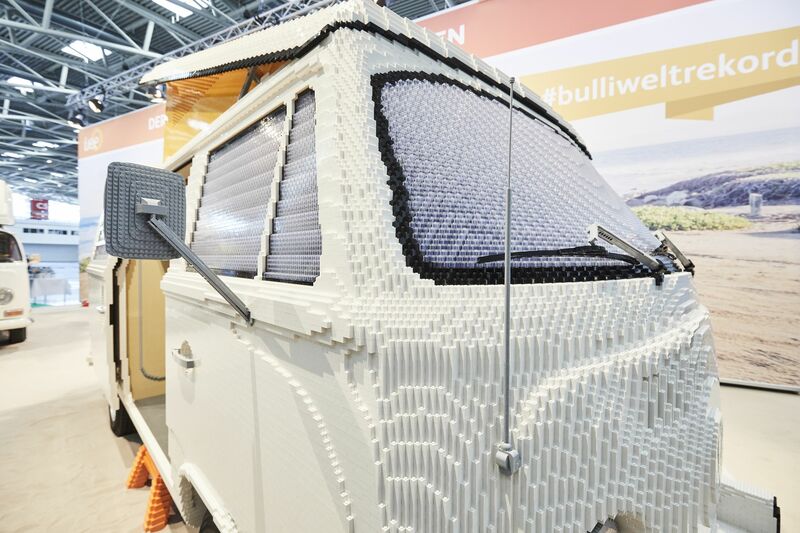 It’s not made of metal, either, but instead is crafted of more than 400,000 Lego bricks, built atop what appears to be a rolling platform fitted with 14-inch VW wheels. Construction of the plastic Campmobile was no minor endeavor, and took a team of two modelers (Rene Hoffmeister, one of 12 officially certified Lego model makers, and Pascal Lenhard) six weeks to complete. 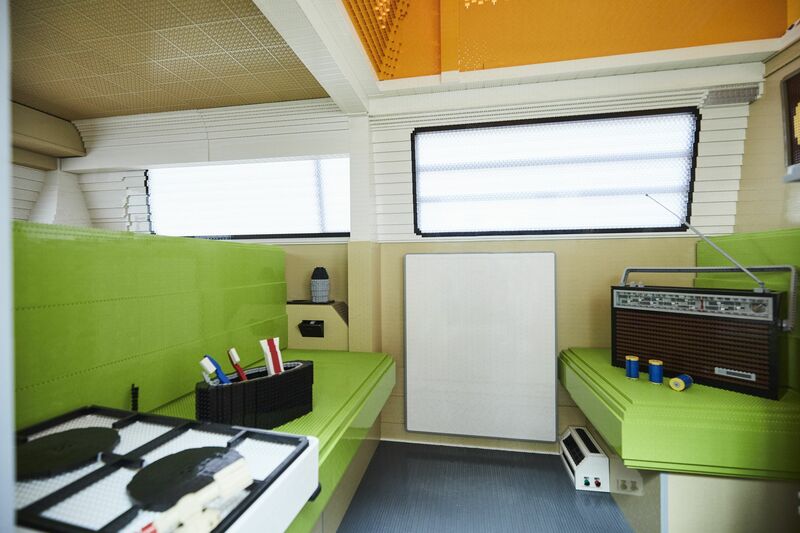 Before the build even began, a comparable Type 2a camper was carefully scanned and measured, serving as a three-dimensional blueprint. 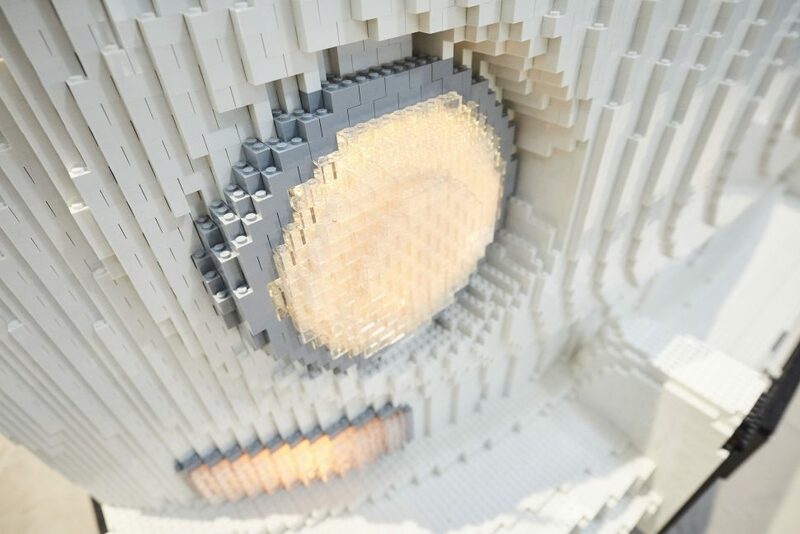 The data gathered was fed into a 3D construction program, which in turn dictated everything from the build sequence to the number of bricks required to complete the project. The model is similar to the dimensions of the original, though not exactly the same since provisions had to be made for the rigidity of the side walls and windows to ensure that sections wouldn’t collapse under their own weight. Mid-build, Rene and Pascal found themselves roughly 70,000 pieces short of clear bricks needed to complete the glass, a quantity that couldn’t simply be shipped from a nearby warehouse. Somehow, the pair met their six-week deadline, and the end result is certainly impressive. From the outside, there’s no mistaking it for anything but a VW Campmobile, and inside the amount of detail is impressive. There’s art hanging on the wall, above the sink, which contains a coffee service and bottle of Germany’s favorite condiment — Maggi seasoning — all crafted of Lego bricks. Looking out the side window, the avocado-colored seats hold a radio (with spare batteries) and a bin with toothbrushes and toothpaste. 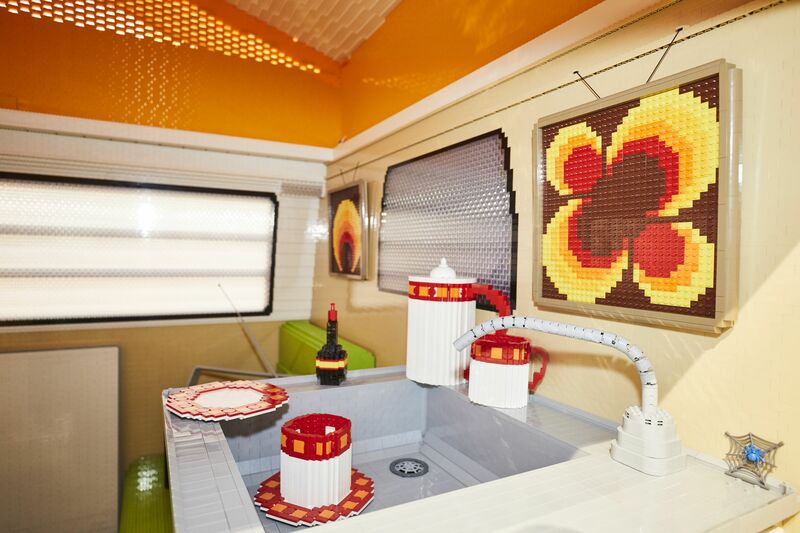 The gas stove is visible in the foreground, while the folded table and floor heater can be seen in the background, and yes — all are crafted of Legos. The plastic Campmobile will be displayed alongside its fully functional muse for the duration of the f.r.e.e. show, which runs from February 20-24.